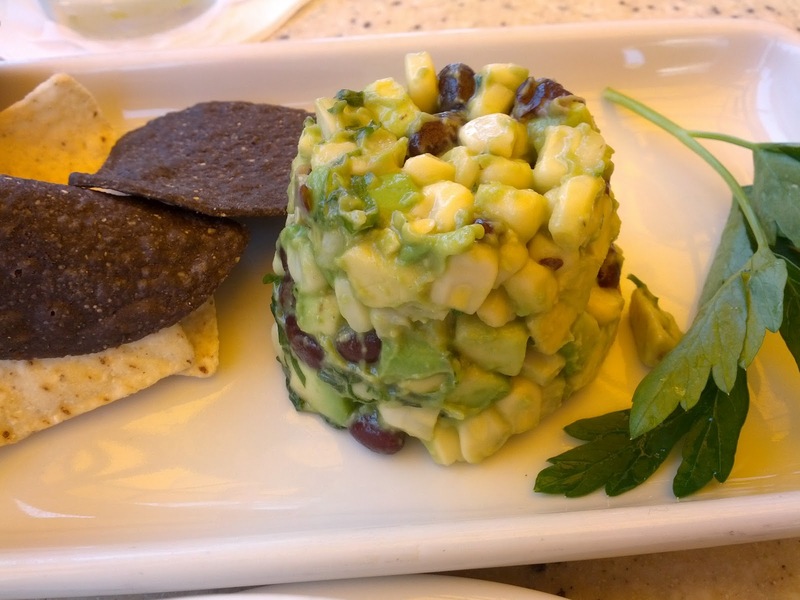 California Pizza Kitchen is a Californian institution. They were the among the first major players in the gourmet pizza restaurant niche. They have some fun meals and are a great place to dine out. However, like most restaurants, their kids' menu is sorely lacking. They have the usual offenders like mac n' cheese and buttered pasta (I'm sorry, that just sounds gross!). They seem to have tried a healthier option with a salad, but upon closer inspection, it consists of only lettuce, dressing, and goldfish crackers (Really? Why?) So naturally, I looked to see what other options they had that would offer my daughter more veggies, and here is what she tried. 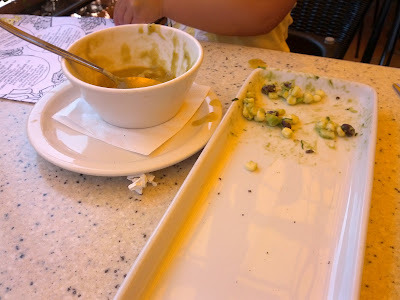 She decided on a cup (7 oz) of their smashed pea and barley soup along with the white corn guacamole and chips from their small cravings menu. She loved it! It certainly helps that her favorite color is green, so having so much green in her meal was fun. 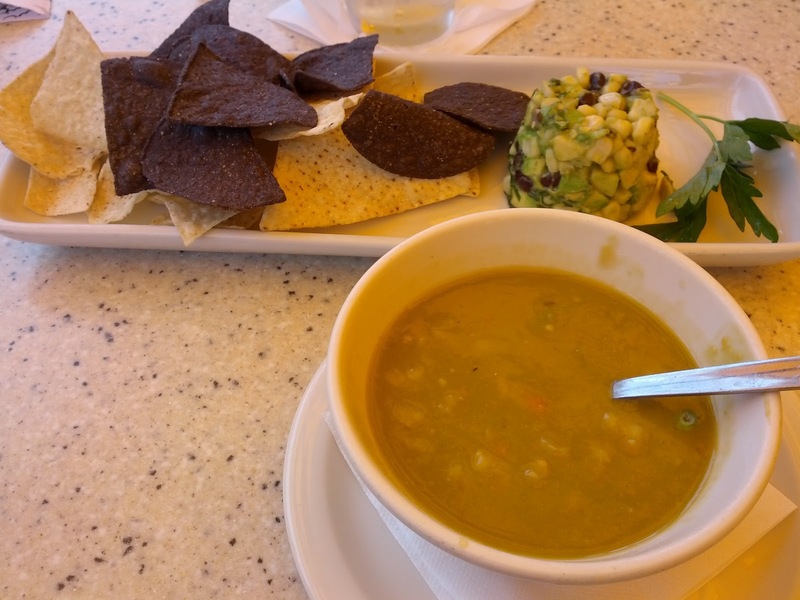 The soup is a perfect size for a small child. We had them bring it out a little early so it had time to cool (with the help of a few ice cubes) before the rest of the meal was served. She raved about the soup and insisted that I learn how to make it at home. Another great item form their small craving menu is their Mediterranean Plate with pita, hummus, and a cucumber greek salad. Unfortunately, this location was no longer serving it, but if the CPK near you has it, it is a great option for kids! The kids' menu offerings run about $5-$6, and this meal cost us $7.75.